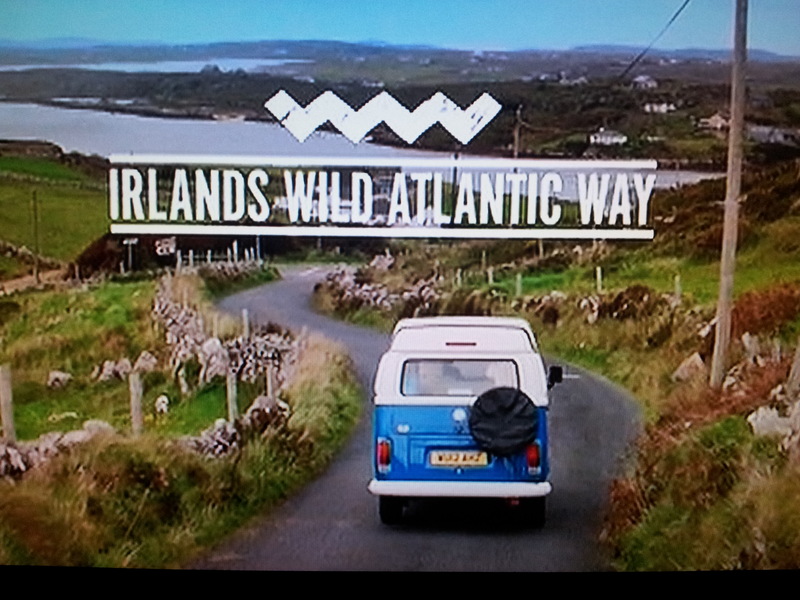 Just found this on German television: The Irish tourist authorities (Ireland.com) advertise Ireland’s 2500 km of Atlantic coast with a beautiful blue and white late bay campervan. Which is in fact a Brazilian T2c late bay bus, see the air intakes for the water-cooler at the front and the more T1- or T2a-like front and rear bumpers. Haven’t seen the spare wheel holder on the rear lid yet – cool! Somehow looks like inspired by the T3 syncros, but is probably also original for the Brazilian buses. 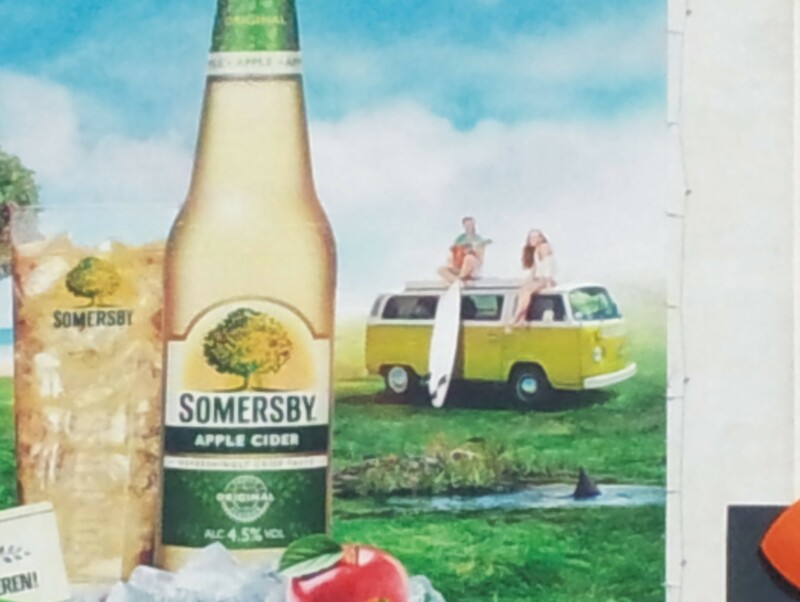 Almost a bit too much hippie kombi kitsch in one advert – sage green late bay campervan, surf board and man playing guitar. Not sure why there is a shark in the pond. 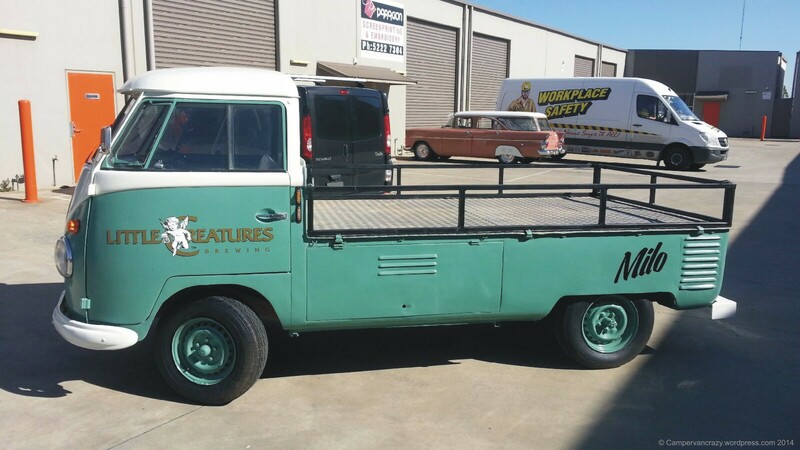 But nice to see random kombi pictures here and there. And probably interesting to look back at this photo in a couple of years and ponder how cheap petrol was in 2014: Super/premium for 1,509 Euro per liter (about 2,20 AU$ per liter or 7,80 US$ per gallone). 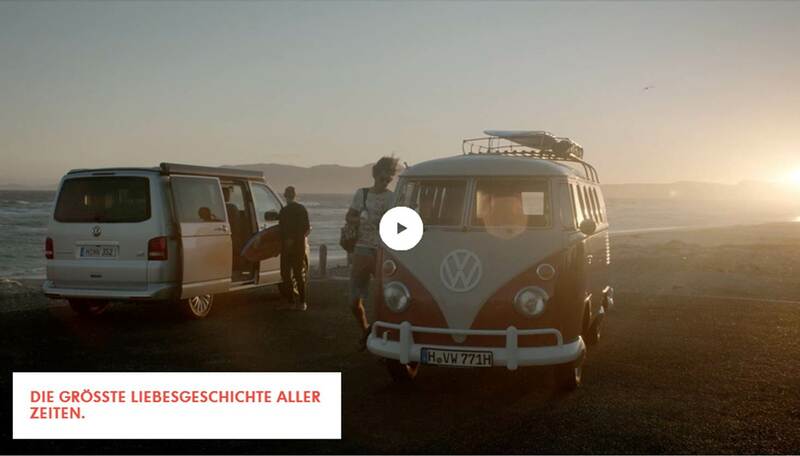 Link to a new German Volkswagen commercial that popped up on TV this evening: “Most vehicles are being used. But there is one that is being loved, for more than 60 years now.” Oh so true! 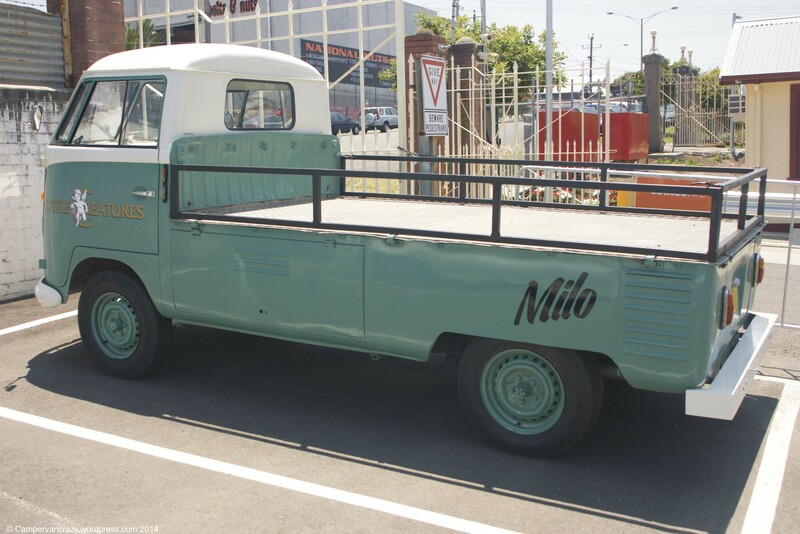 Here comes Milo – a single cabin truck from the new Geelong outstation of the Western Australian Little Creatures brewery. Many thanks to Jodi and Campbell for the beautiful photos! Milo is probably from pre-1960. The indicators at the front (introduced in 1960) look as if added later. The original semaphore openings next to the door handles have been re-used for additional side indicators. Someone also built a new rear bumper bar, and a metal rail to replace the side walls of the cargo bay. The color could be velvet green (L512). 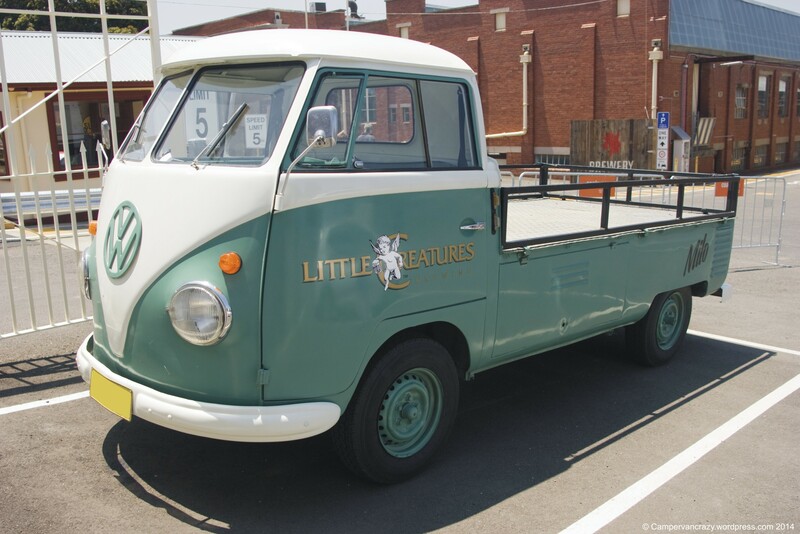 Little Creatures seems to have a theme going here: There is a red-and-white split-window single cabin on the title photo of their Melbourne Brewery web page. Same metal bars as cargo bay doors. Post-1960 model with bullet indicators. 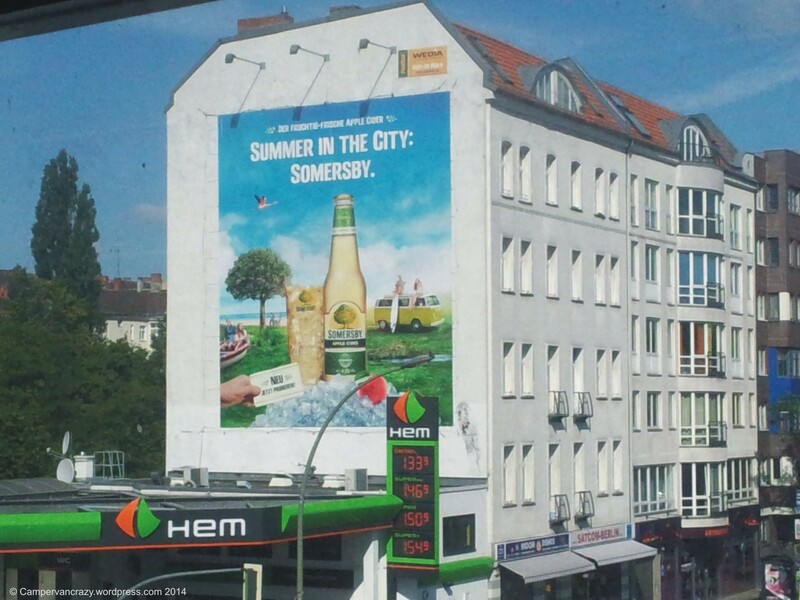 Cool idea – I like the beer already! We will be back to Geelong to visit friends and family in about a week, after two long years in Germany. We are looking forward to seeing you all again! This film is just amazing. The story of a young man who travelled around the world three times, alone, in the 1950ies and 60ies, in a Volkswagen beetle. 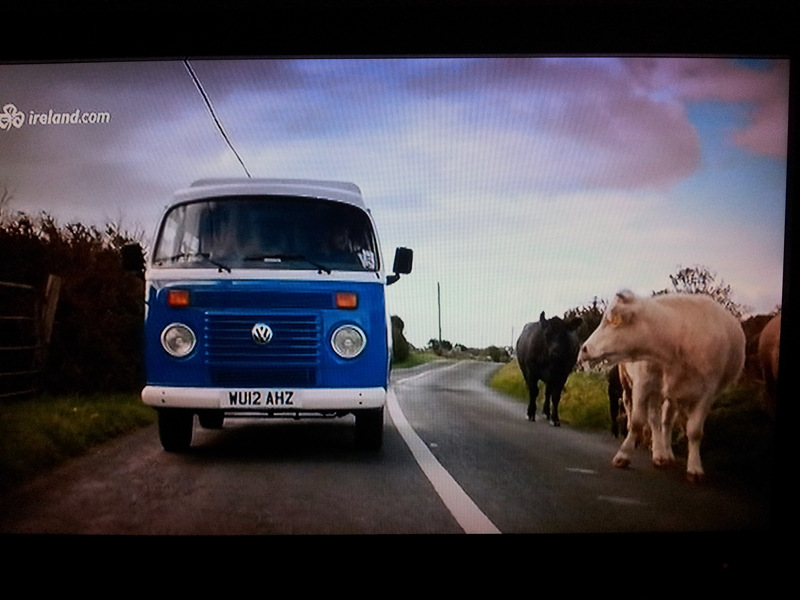 Actually rebuilt into a very basic campervan. And the car still exists, and the old gentleman is reunited with it in 2013. Brilliant. And told in a beautiful, very touching way. Absolutely brilliant. Thanks to ZeroToSixty for sharing it!